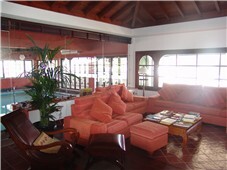 Perfect for Corporate & Team Building Events, Special Family Celebrations, Wedding/engagement Banquets or simply Several families wishing to holiday together - 9 villas ; 21 Bedrooms ; 9 King Size Bedrooms ; 12 Large Twin Bedrooms (24 Single Beds) ; 18 Bathrooms - Fincas La Crucita can sleep up to 42 guests comfortably. 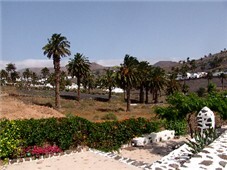 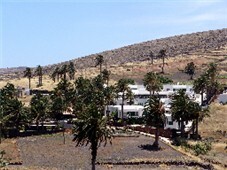 The main House (Haria) and the extensive gardens can be used as a central location for the main event(s) - To discuss booking the entire complex or any combination of units, contact John using the details above right. 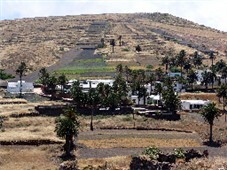 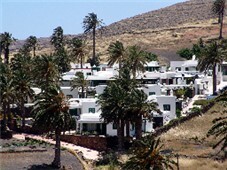 Located in the north of the island at Haria, Fincas La Crucita extend over 7,500 square metres, with over 50 palm trees, set in idyllic rural countryside, yet just a few minutes walk from traditional canarian bars and restaurants. 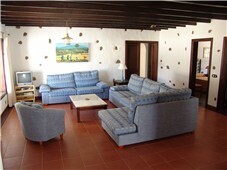 If you are looking to get away from the crowds then this is the place to stay. 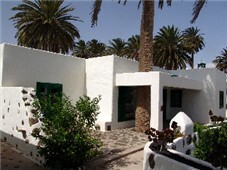 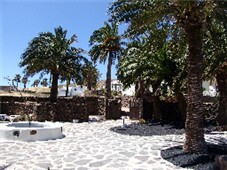 Set in large gardens, with its very own private French Boules area, Fincas La Crucita offer you traditional lanzarote architecture (in modern villas, built in 2005). 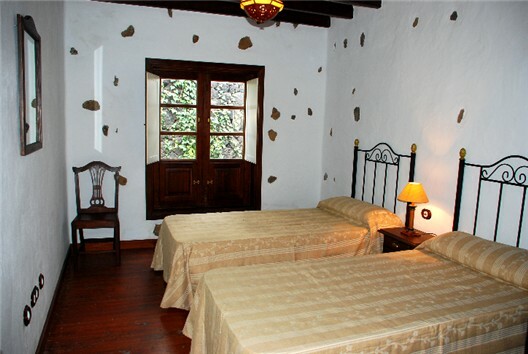 Each Villa has up to eight chimneys, the floors are made of mud and wood, stones walls coexist with a generous use of wood carpentry in the ceilinfs, doors, windows and most of the floors. 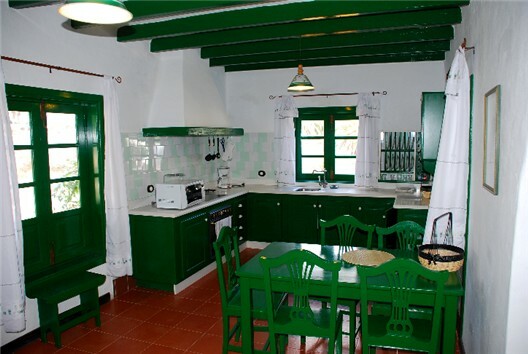 The houses are designed in a rustic style, equipped with stylish fittings including vitroceramic ovens, dishwashers, washing machines, microwave aovens and satellite TV. 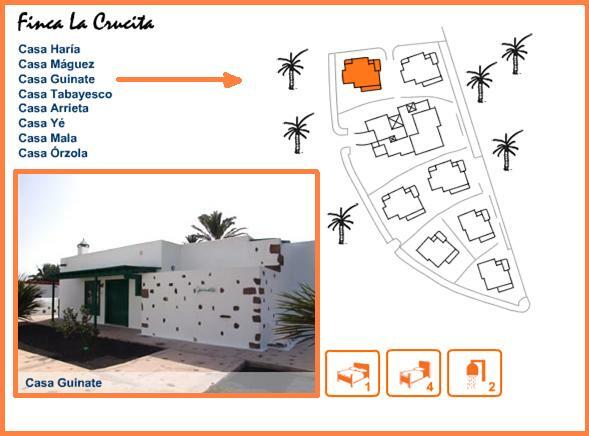 All of the Villas have been designed and built with the disabled in mind as there are no obstacles and some of the villas have grab rails and drop bars bars in the bathroom/wc area (please ask for details). 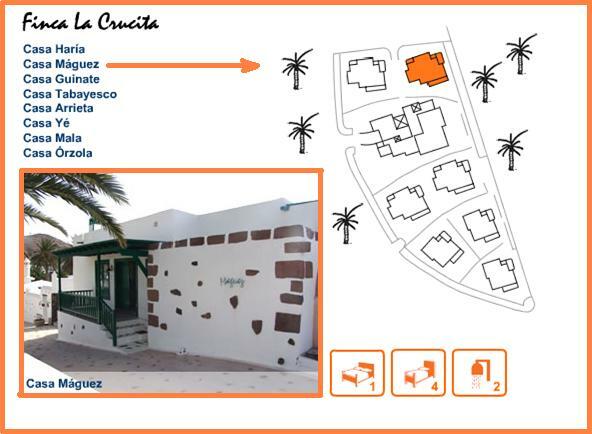 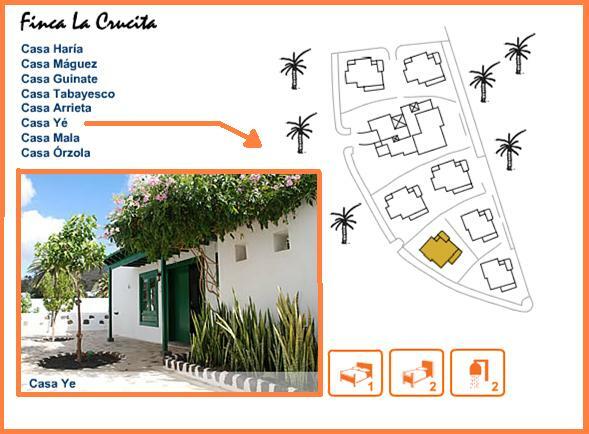 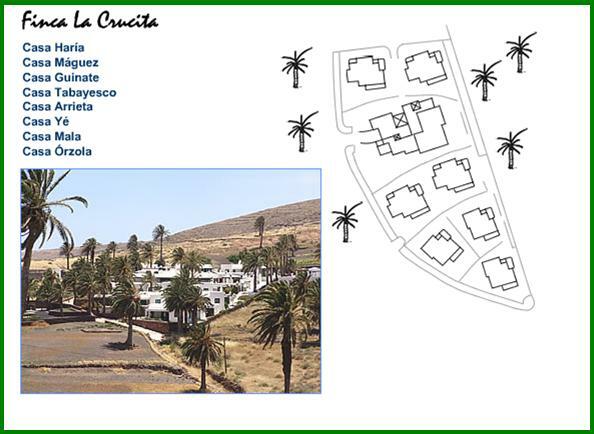 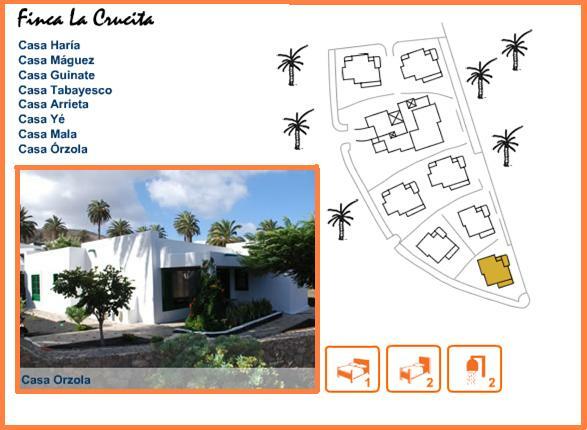 At Fincas La Crucita, we can offer three different types/levels of accomodation in detached two and three bed villas (brief details of which are given below, together with links to details pages on each villa). 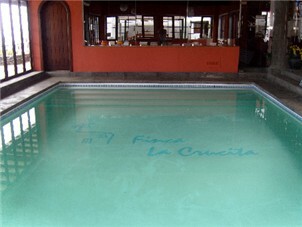 The Main unit, Casa Haria extends over 300 sq mt and has its own private indoor pool. 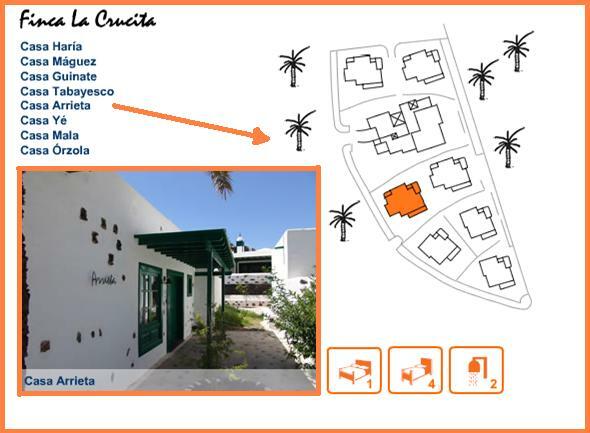 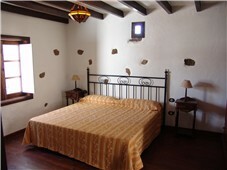 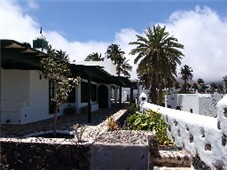 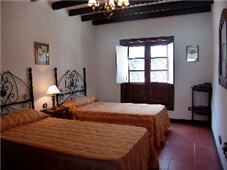 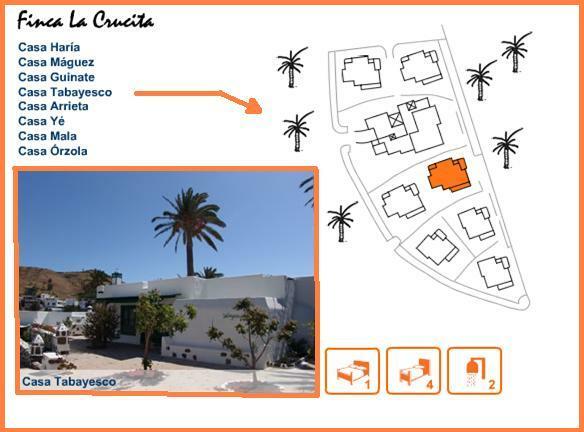 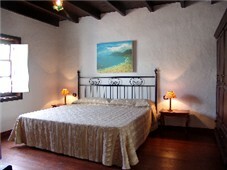 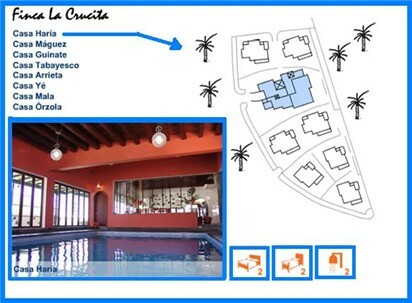 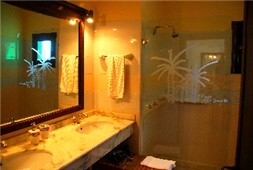 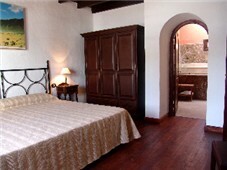 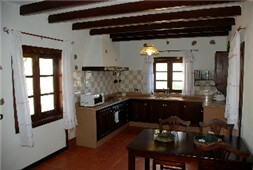 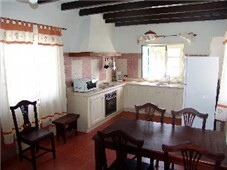 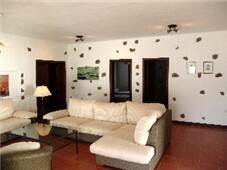 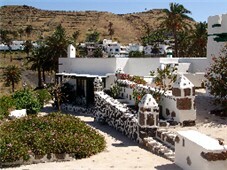 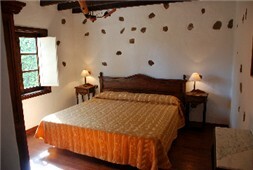 There are four 3 bedroom villas known as Casa Arrieta; Casa Guinate; Casa Maguez; and Casa Tabayesco. 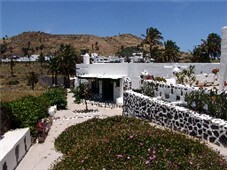 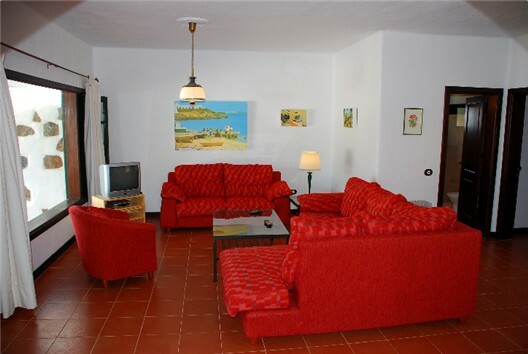 Three 2 bedroom villas known as Casa Mala; Casa Orzola; and Casa Ye, complete the set. 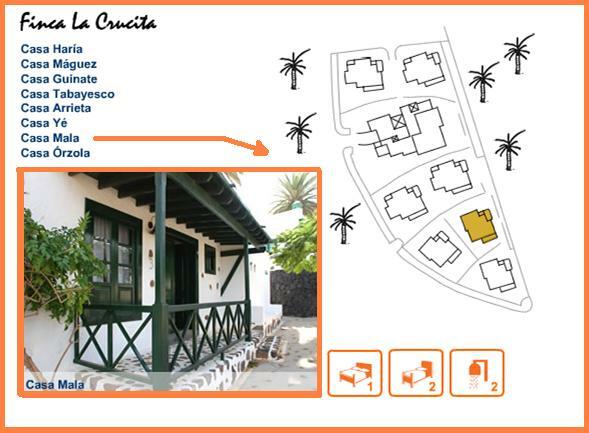 Each of the villas can be hired independent of the others, but if you are in a family unit, you can select any combination to suite your group size and taste/budget.